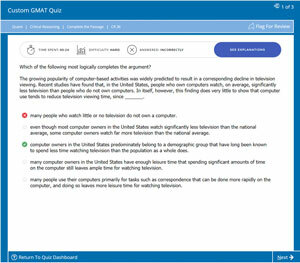 I am a full time student preparing for GMAT and have given myself 2 months timeline to take the GMAT test. 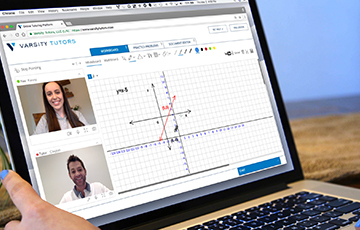 I started studying from the Manhattan Foundations of Maths and Verbal for basics. I have been good at maths since school days so i am having a feeling that foundation of Math is a little too easy for me. But i still need to brush up some concepts as its been a long time since i last studied maths. Should i be spending much time on the foundation book or just move to the strategy guides and OG? Also i took the first prep test and scored 490 which was a disappointment and i was short of time in both quant and verbal sections by almost 5 questions each. Please suggest a betterway to proceed. 2) What were the Quant and Verbal Scaled Scores for this first practice CAT/mock? 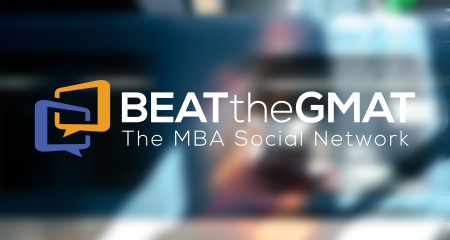 4) On what date are you planning to take the GMAT? 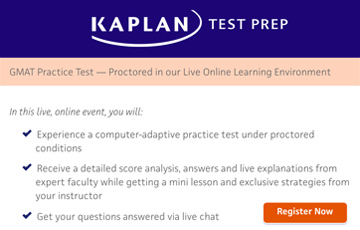 2) What were the Quant and Verbal Scaled Scores for this first practice CAT/mock? 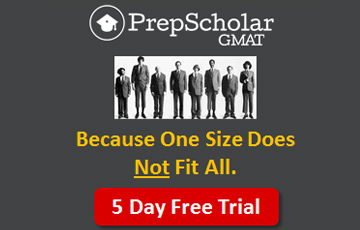 - I gave the Practice test 1 available on GMAT Official Prep and scord 490 in total - V-24/ Q- 34 / IR- 4. I had answered 31 questions in Quant and 35 questions in Verbal (guessed last 4-5) . 5) When are you planning to apply to Business School? - Still in delima!! 6) What Schools are you planning to apply to? - Considering my score at this point of time i am very confused on what I should do. As I have left my job with the motive of studying full time. I am a Chartered Accountant and was working with Grant Thornton earlier but it was way too difficult for me to study with work. I am planning to give another prep test in the coming weekend. If you're finding that the Mprep Foundations guides are easy, then move on to the strategy guides. I'd recommend doing a handful of the drill sets at the end of each chapter in the Foundations guides to test your knowledge / build your basic muscles back up, but you can probably skip reading the chapters themselves. When you're reading the general guides, you can still flip back to the Foundations guides for anything that's rusty. 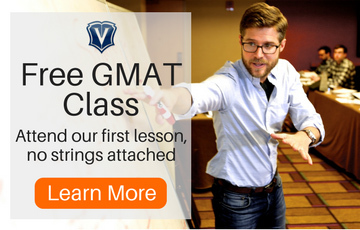 Raising a 490 to a 700+ will likely require at least another 3 months of consistent, guided study, even if you are studying full time - and you'll have to make significant improvements to how you handle BOTH the Quant and Verbal sections. 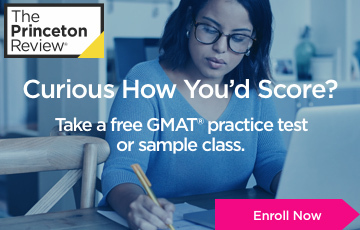 Thankfully, the GMAT is a consistent, predictable Exam, so you CAN train to score at a higher level. You might need to consider pushing back your planned Test Date though. 1) Is there a particular company that you want to work for or industry that you want to work in? Certain degrees are more appropriate than others if you have a specific career goal. 2) What do you want your MBA to do for you? 3) Do you want to go to School full-time or part-time? 4) Are you willing to relocate? Are you comfortable with working through a program that is primarily online? 5) Are you going to be applying for scholarships? It's okay if you don't have answers to any of these questions just yet, but you really should take a day or two to try to define all of the important variables in terms of your goals, so that you can tailor your entire approach to getting into the best School that matches what you're looking for. The application deadlines for those Programs will also help to define your schedule going forward. 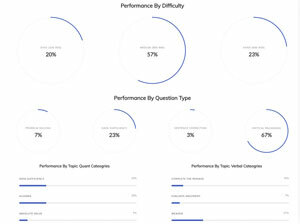 Once you have your next CAT Score, you should post back here and we can discuss the results. As mentioned earlier I took the CAT today and the score was 590 this time. Further breakup was - V-29/ Q- 44 / IR- 3.8. I had to guess 2 questions in Quant and 4 in Verbal section to complete the test on time. I am not sure if I should be happy with this improvement or not as I am still a long way from my target score for which I will need to work on my weak areas now. Also which is the best option to start the test? (Quant, verbal, IR and AWA or any other way). I’m glad you reached out, and I’m happy to help. So, you’ve successfully completed the first step: taking a diagnostic to get a baseline score. 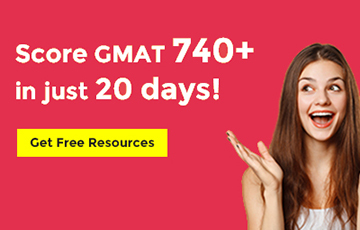 Although I’m unsure of your score goal, if you’re shooting for a 700+ score, you need to give yourself plenty of time to study (even up to 6+ months) to improve your GMAT score by such an amount. The good news is that since you are still a student, I assume you won’t be applying to business schools for at least a few years, right? 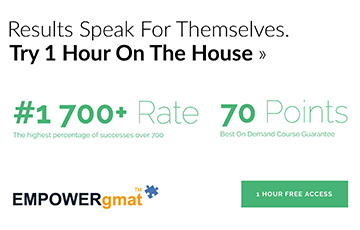 Thus, use time to your advantage and don’t take the GMAT until you are truly ready to do so. 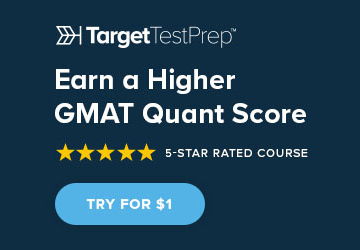 Regarding your study plan, since you scored 490, it’s clear that you currently lack the GMAT quant and verbal fundamentals necessary for a high score, so you will need to follow a study plan that starts with the foundations of GMAT quant and verbal and progresses to more advanced topics. For example, let’s say you begin by studying quant. If you are learning about Number Properties, you should develop as much conceptual knowledge about Number Properties as possible. In other words, your goal will be to completely understand properties of factorials, perfect squares, quadratic patterns, LCM, GCF, units digit patterns, divisibility, and remainders, to name a few concepts. After carefully reviewing the conceptual underpinnings of how to answer Number Properties questions, practice by answering 50 or more questions just from Number Properties. When you do dozens of questions of the same type one after the other, you learn just what it takes to get questions of that type correct consistently. If you aren't getting close to 90 percent of questions of a certain type correct, go back and seek to better understand how that type of question works, and then do more questions of that type until you get to around at least 90 percent accuracy in your training. If you get 100 percent of some sets correct, even better. Number Properties is just one example; follow this process for all quant topics. You can work on verbal in a similar manner. For example, let’s say you start by learning about Critical Reasoning. Your first goal is to fully master the individual Critical Reasoning topics: Strengthen the Argument, Weaken the Argument, Resolve the Paradox, etc. As you learn about each question type, do focused practice so you can track your skill in answering each type. If, for example, you get a weakening question wrong, ask yourself why. Did you make a careless mistake? Did you not recognize the specific question type? Were you doing too much analysis in your head? Did you skip over a keyword in an answer choice? You must thoroughly analyze your mistakes and seek to turn weaknesses into strengths by focusing on the question types you dread seeing and the questions you take a long time to answer correctly. When practicing Reading Comprehension, you need to develop a reading strategy that is both efficient and thorough. Reading too fast and not understanding what you have read are equally as harmful as reading too slow and using up too much time. When attacking Reading Comprehension passages, you must have one clear goal in mind: to understand the context of what you are reading. However, you must do so efficiently, so you need to avoid getting bogged down in the details of each paragraph and instead focus on understanding the main point of each paragraph. That being said, do not fall into the trap of thinking that you can just read the intro and the conclusion and thereby comprehend the main idea of a paragraph. As you read a paragraph, consider how the context of the paragraph relates to previous paragraphs, so you can continue developing your overall understanding of the passage. Furthermore, as you practice Reading Comprehension, focus on the exact types of questions with which you struggle: Find the Main Idea, Inference, Author’s Tone, etc. As with Critical Reasoning, analyze your incorrect Reading Comprehension answers to better determine why you tend to get a particular question type wrong, and then improve upon your weaknesses. 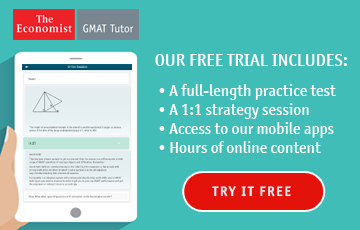 You can perfect your reading strategy with a lot of practice, but keep in mind that GMAT Reading Comprehension passages are not meant to be easy to read. So, to better prepare yourself to tackle such passages, read magazines with similar content and style, such as the Economist, Scientific American, and Smithsonian. As for the third aspect of getting Sentence Correction questions correct, what you do, the main thing you have to do is be very careful. You have to make sure that you are truly considering the structures of sentences and the meanings conveyed rather than allowing yourself to be tricked into choosing trap answers that sound right but don't convey meanings that make sense. You also have to make sure that you put some real energy into finding the correct answers. Finding the correct answer to a Sentence Correction question may take bouncing from choice to choice repeatedly until you start to see the differences between the choices that make all choices wrong except for one. Often, when you first look at the choices, only one or two seem obviously incorrect. Getting the right answers takes a certain work ethic. You have to be determined to see the differences and to figure out the precise reasons that one choice is correct. As with your Critical Reasoning and Reading Comprehension regimens, after learning a particular Sentence Correction topic, engage in focused practice with 30 questions or more that involve that topic. As your Sentence Correction skills improve, you will then want to practice with questions that test you on skills from multiple Sentence Correction topics. 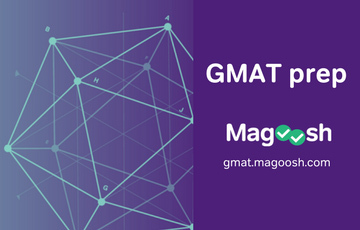 In order to follow the path described above, you may need some additional quant and verbal materials, so take a look at the various Beat the GMAT reviews for online self-study courses.